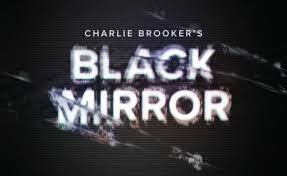 Black Mirror is a Netflix series about the near future – what may happen if some trends go in particular directions. To be believable the writing needs a systemic understanding of how things may emerge and fit together, with story and twists that systemically fit the narrative. I’m testing my systems analysis. Initially, Playtest didn’t seem to have many systems to work with. It feels a familiar “what is reality?” question. In the near future we may not be able to tell virtual or augmented realities generated by ourselves from the real thing – and so how do we know when we have left them? This is a greater dilemma when our fears create the virtual realities. Because we may fear not knowing what reality is, and we may fear loss of an anchor in our lives, a loss of control. In this episode the main actor knows he’ll be in an augmented reality – having virtual images on top of reality – Pokemon go style. But he never leaves his chair, so is he in reality here, or are things already unreal? One way to think about reality is like a hierarchy. Real is at the top, and you can go down levels and come back up again. Back to top, which is definitely real. Having a known hierarchy is reassuring, everything’s all right, and you know where you are. There is somewhere objective to stand. But systems are within systems. You can keep going out another layer, and this episode doesn’t let us know what level of reality we’re at, though it gives us some clues that we’re not at the top, if there even is a top. Fear comes from not knowing where real is, realising that everything is subjective. There is nowhere in the universe that stays still for an objective viewpoint. There is a long introduction anchoring what we think as reality at the start. But could reality have already stopped? There was a traumatic event before the episode starts when the lead characters father dies. Going on a journey as he does is a metaphor. On the trip nothing seems to go wrong. Is reality already gone? He slowly sees his reality go bad – and gets work in a computer games test lab. It’s here he gets a medical implant, so he hears and sees, but doesn’t feel things that he thinks are on top of reality, and not really there. The experiment is to see how much fear he can tolerate, created by his own mind. His physical environment is real, but the frightening things in it, initially spiders and spooky people are computer generated. His radio connection to the game controller fails. Which is quite frightening, and is also a psychological fear of loss of someone overseeing you. Like to loss of his Father to Alzheimer’s. There is then a twist, an unexpected ‘real life’ person turns up and tells him he’s in danger, and then stabs him – and he feels the pain for real. He then starts to hear the voice of the game controller in his ear as the voice in his head – it knows about his family, and how his father had Alzheimer’s and how he is now losing his memories. We eventually pull back to seeing him in the experiment, having totally lost all of his memories, and not knowing who he is. And we pull back another level of reality. But are we real now? How frightening if we’re not yet real? Finally he gets home, after a journey where he faces his worst fears, and his mum doesn’t recognise him. Another anchor to reality gone, and we go out another yet level of reality. Back to a familiar scene, but one that is still suspect, and has ties to conversations at other levels. An episode of Red Dwarf had a similar beginning. The crew think that their lives were actually an immersion video game. And they had wasted 4 years playing really badly. They too woke up not remembering who they were (Dwayne Dilbley! ), all done by the despair squid. This entry was posted in TV Programs and tagged Black Mirror, metaphor, playtest, reality, red dwarf, systems thinking on November 6, 2016 by make10louder.